Thick wall - (A very Durable - Thick wall plastic compound) Planters for the industry, home and garden interior or exterior projects. Many colors, shapes and sizes available. 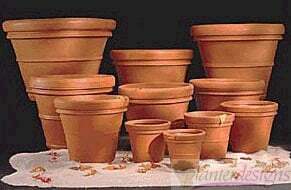 A great alternate to the old Terra-Cotta Clay pottery.